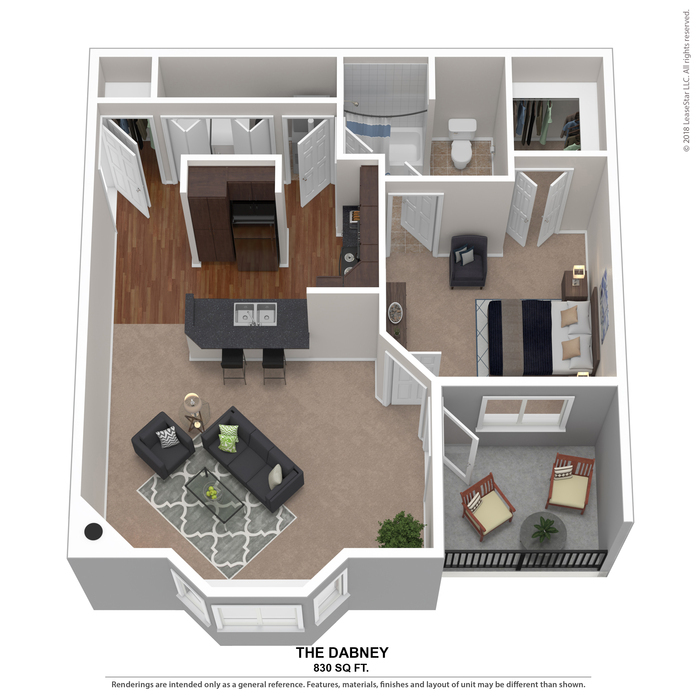 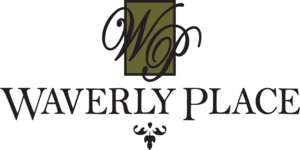 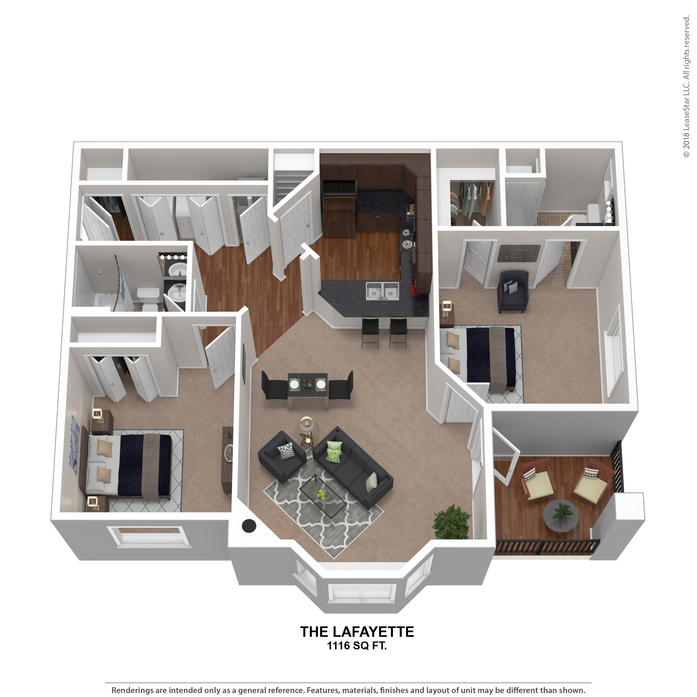 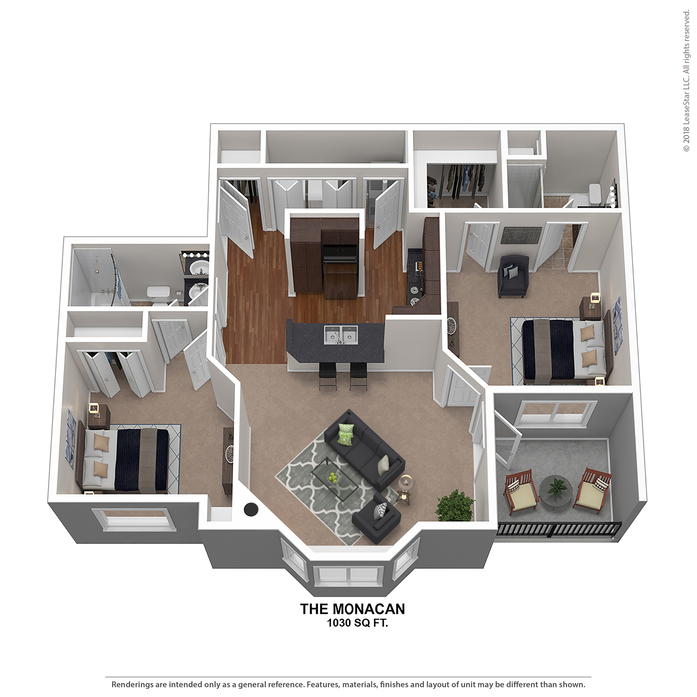 Our apartment homes feature granite counter tops, cherry cabinets, ceiling fans in the living room and bedrooms, spacious closets, vaulted ceilings in top floor apartments, full size washer and dryers in every apartment, and private patios and balconies. 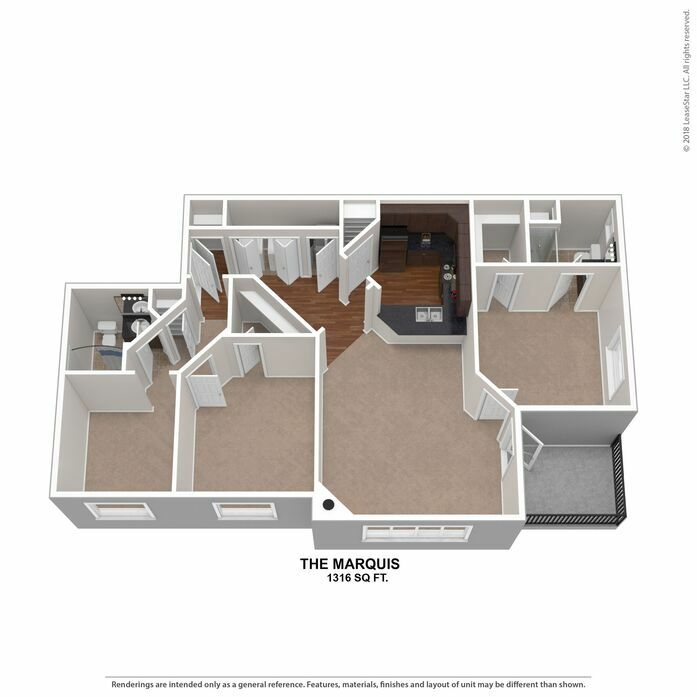 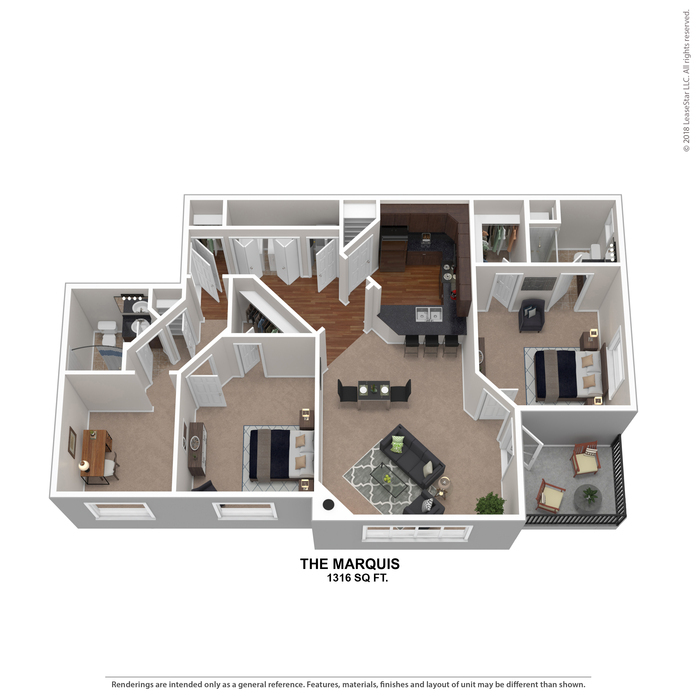 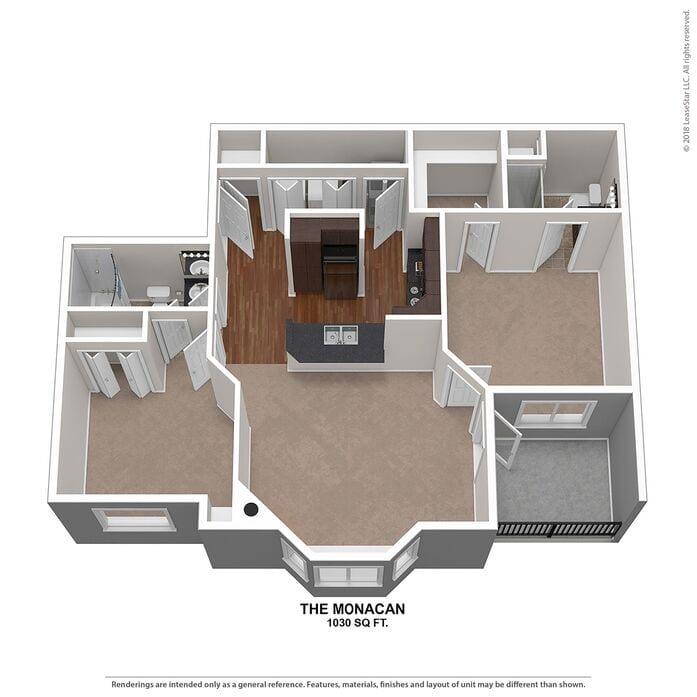 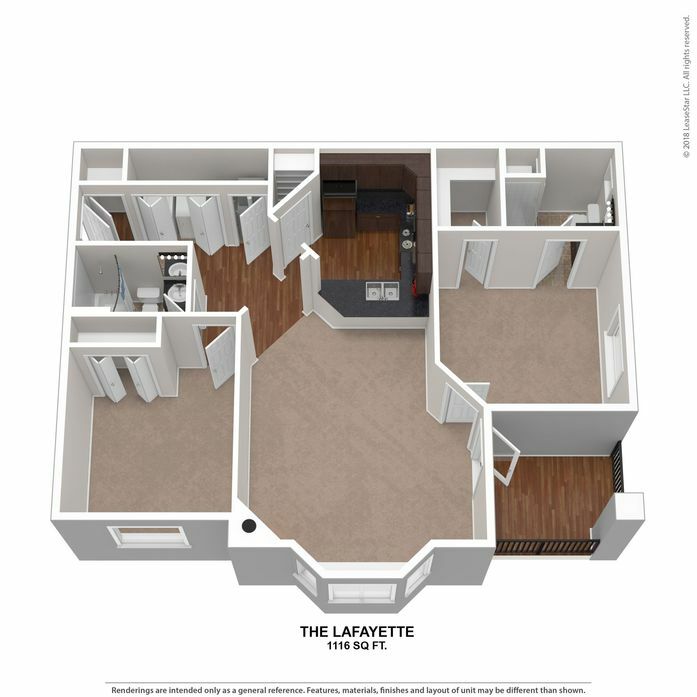 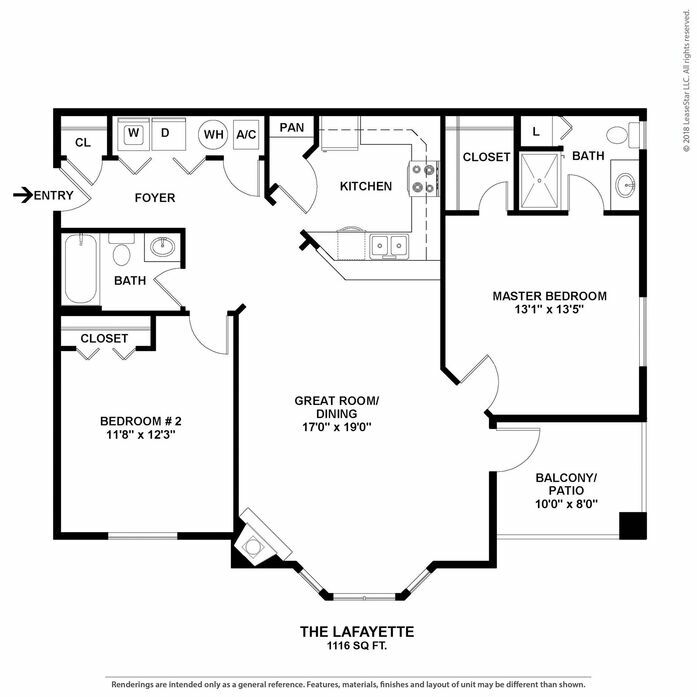 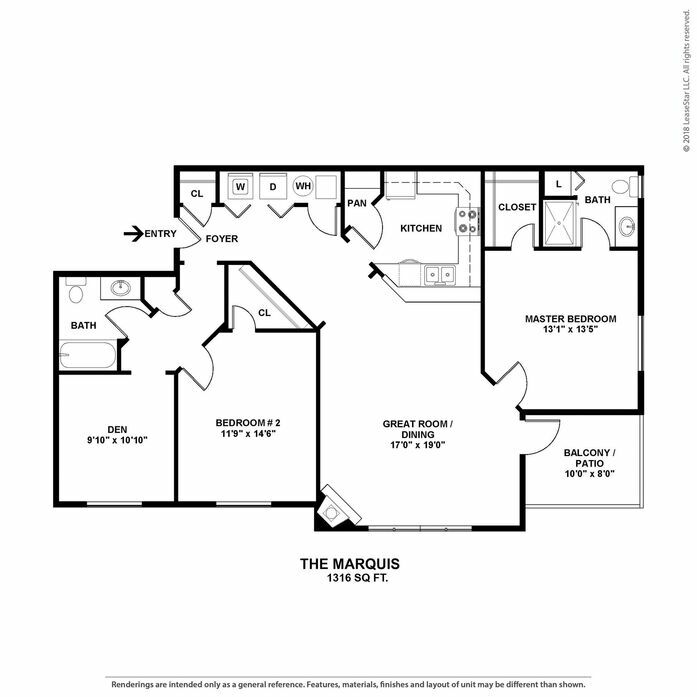 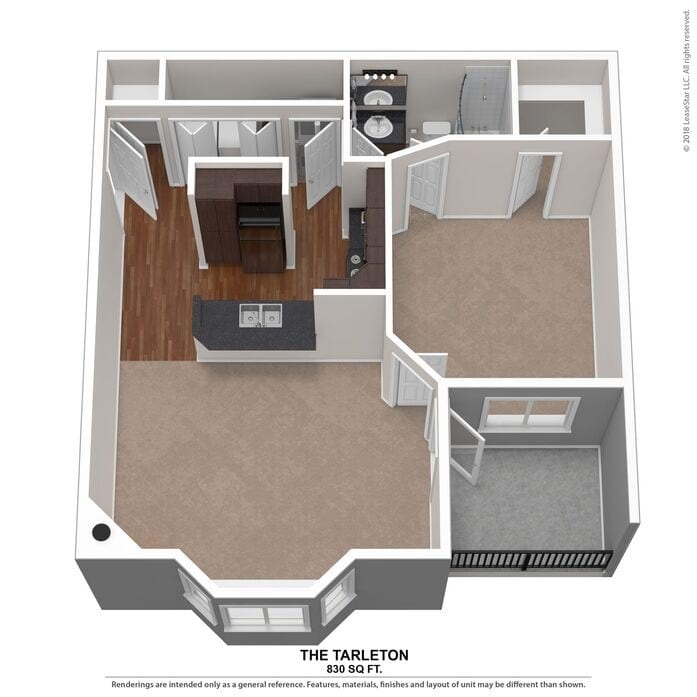 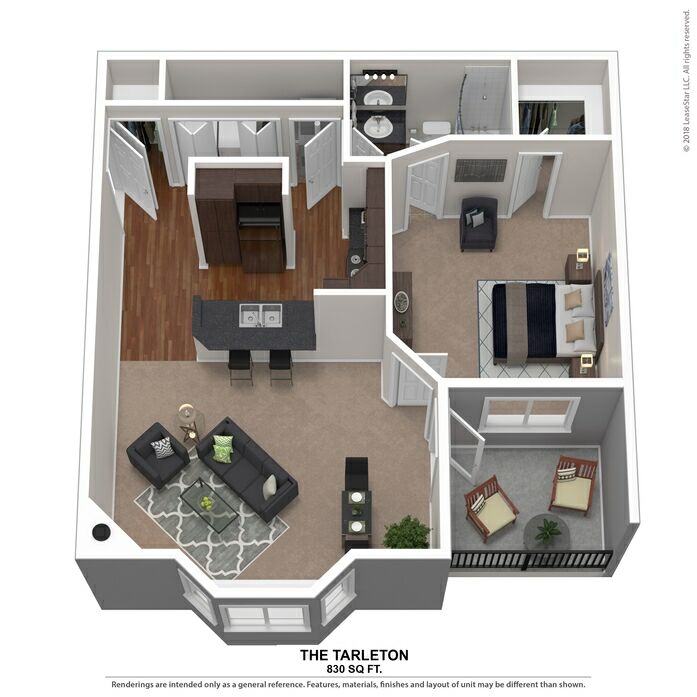 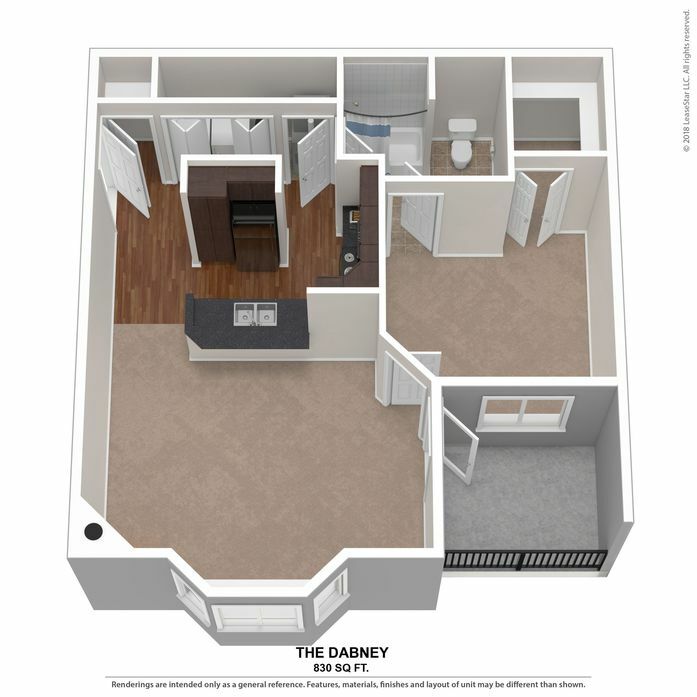 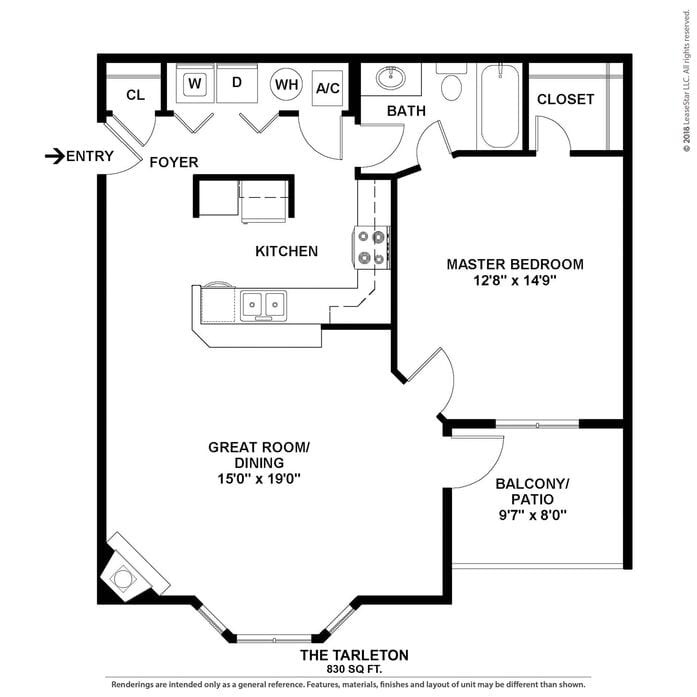 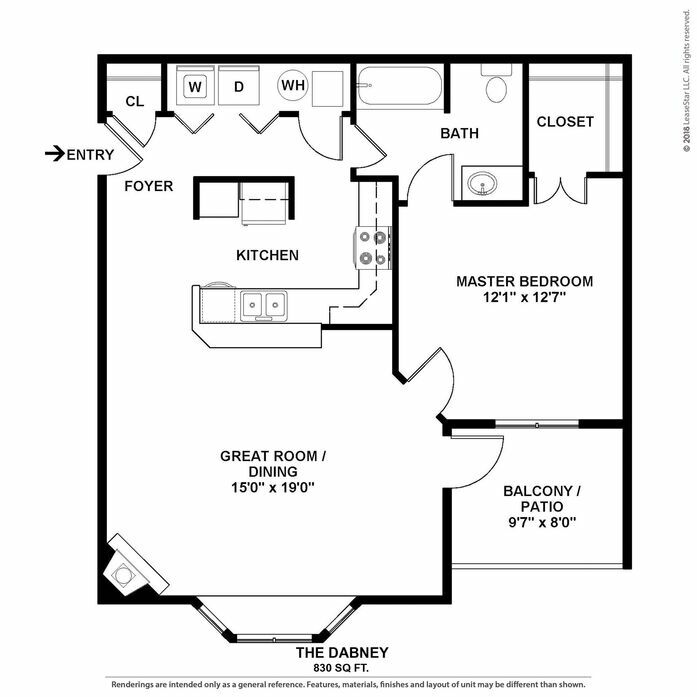 Your new residence has been built to exacting standards with several attractive features. 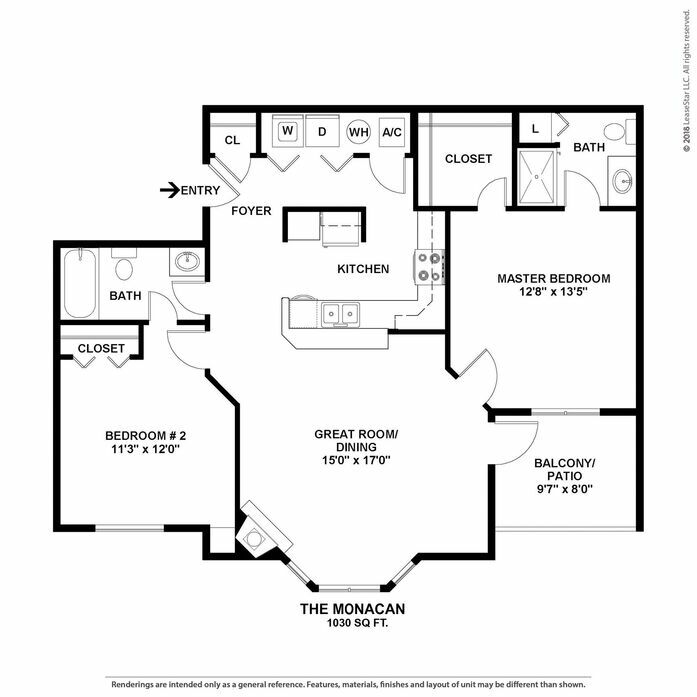 Typical unit, actual square footage may vary.